It takes experience and the right equipment to replace car keys. And we’ve got what it takes to ensure exceptional car key replacement in White Rock, British Columbia. Feel free to contact our company if you want to know our quotes or ask about your car’s key. 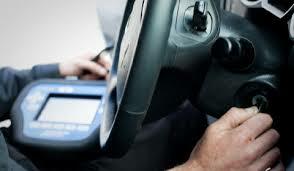 We have the expertise and up to date training to replace the keys of most car brands and years. Call us to replace all sorts of transponder keys. Locksmith White Rock provides services 24/7. Why is car key replacement a difficult task? Because there are several differences between car keys. Each one is unique in the way it’s cut. With us, you can be sure that key cutting is done perfectly. Knowledgeable and qualified, our techs are aware of the car key variations and use the right blanks to have the new car key made. When we cut new keys, we pay attention to the grooves and special ridges and make sure its edges are smooth. Another difficult part of the process is car key programming. In order for transponder keys to open and lock car doors and start the engine, they must be programmed. And each transponder car key is programmed to operate with only one car. That takes special systems and great knowledge. You can trust the skills of our auto locksmith. When it comes to car locksmiths service in White Rock, we rush to help. 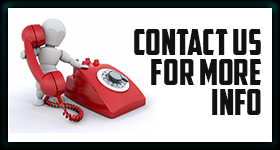 You can reach out to us easily either by sending us a message or calling us. Either way, we respond as quickly as possible and offer 24 hour service. Did you lose the car key? Is the key damaged? Every time you need to replace the key, we are here to help. Our pro will be at your location in no time and the van will be equipped with all necessary tools for the replacement of the car key. Losing a car key is an emergency problem and we treat it as such. You can always turn to us for White Rock car key replacement service and be sure that the job will be done affordably, fast, and efficiently. Call us for more details now. Copyright, All Rights Reserved, 2016.